Samsung is making preparations to launch its most expensive cellphone yet, telling partners that its Samsung Galaxy Note 8 will retail for €999. 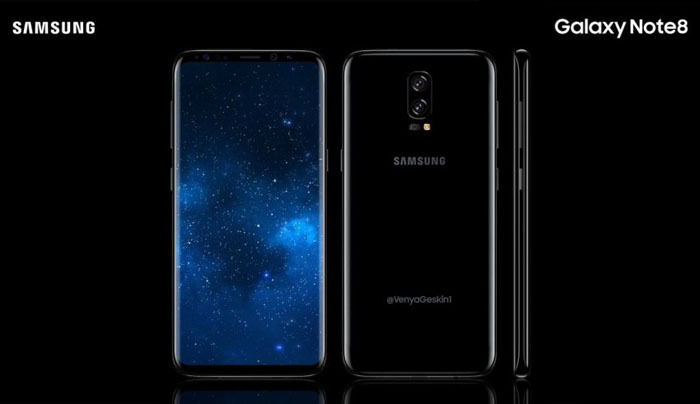 The 6.3-inch device, with the same edge-to-edge, 18.5:9 aspect ratio AMOLED display as in the Galaxy S8 lineup, will be unveiled in the second half of September. CaseMe reports that the Galaxy Note 8 will be priced at €999, the highest price point the company has ever put on one of its smartphones. The phone will apparently make its debut in the second half of September. The Galaxy S8 was priced at €799 which came out to $725. Thus, it’s a fairly safe bet to say the Note 8 will be priced somewhere around $925. Internally, while the Note 8 will utilize the same top-of-the-line Exynos 8895 and Qualcomm Snapdragon 835 chipsets as the Samsung Galaxy S8 and Samsung Galaxy S8+, it will be paired with a more generous 6GB of RAM — making it only Samsung’s second handset, after the Samsung Galaxy C9 Pro, to exceed the 4GB threshold. Galaxy Note 8 will include a 3,300 mAh battery in the phone, a considerably smaller battery compared to the smaller Samsung Galaxy S8 Plus. That’s a bit disappointing, but it at least shows that Samsung is doing everything it can to avoid the issues that plagued the Note 7.